Convenient parking is available for the Central Library located in the Jesse J. Jones Building. View the map shown for more information on all parking options, including rates, hours of operations, and entrances. 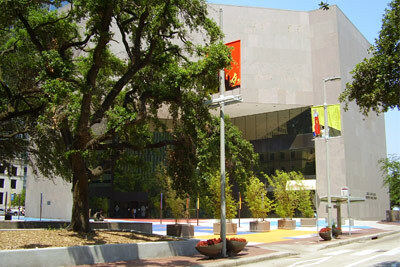 The Central Library, often referred to as the "Downtown Library," is a celebrated public space located in downtown Houston. In addition to books and archives, the library offers valuable resources to the community including educational programs for children and adults, social events, computers, and more. Also located within the building are the U.S. Passport Services and Compass Center which offers programs and services to help start a business or career, or to earn scholarships and grants.